After the 1973–74 season, the Capital Bullets changed their name to the Washington Bullets. 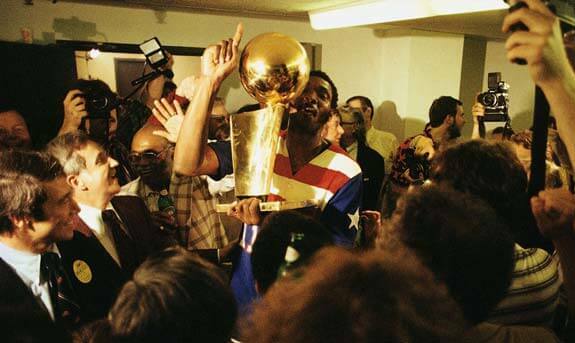 The 60–22 Bullets made it back to the 1975 NBA Playoffs. That year, Washington posted a 36–5 home record at the Capital Centre. In the first round of the playoffs, they survived a seven–game series against the Buffalo Braves as both teams won all of their games at home. In the Eastern Conference finals, they beat the defending NBA champion Boston Celtics in six games to advance to the NBA Finals. The Bullets were favorites to win the NBA Championship, but were swept by the Al Attles-led Golden State Warriors in four games, losing games two and three at the Capital Centre. The 1978 NBA World Championship Series was the championship round of the 1977–78 National Basketball Association (NBA) season. The series featured the Western Conference champion Seattle SuperSonics against the Eastern Conference champion Washington Bullets. The Bullets defeated the SuperSonics in seven games to win the NBA championship. Bullets power forward/center Wes Unseld was named MVP of the series. Before the Cleveland Cavaliers’ Game 7 win at Golden State in the 2016 NBA Finals, this was the last time a road team had won Game 7 in the NBA Finals. After that 1973 – 1974 season, the Capital Bullets changed their name to the Washington Bullets. Bullets – Heading to Baltimore where they paid tribute to the city’s first NBA team named the Bullets, who got their name because they played in an armory. The name carried over to Washington. 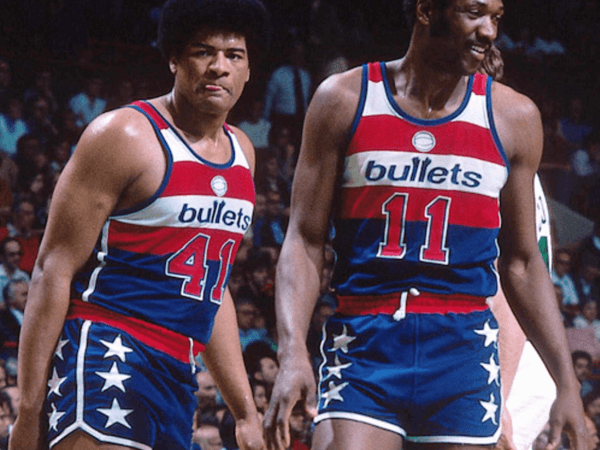 Who is the greatest Washington Bullets? After that 1973 - 1974 season, the Capital Bullets changed their name to the Washington Bullets.